Hiring an business attorney to manage or keep on top of all the legal matters that affect your business can often be a daunting task. While there are several things to keep in mind, such as the fees they charge and what knowledge they may or may not have about your business and/or industry, among others. However, of all these issues, none of them is perhaps as daunting as the task of choosing which lawyer or law firm to work with from a list of several thousands. Having said that, some of the things to consider in choosing an attorney from a large list are discussed below. What Business Experience Do They Have? In working with an attorney, it is somewhat important to consider working with an attorney who is currently or was previously a business owner themselves. The fact of the matter is that first hand experience in managing a business is almost as valuable, and in some cases more valuable, than any legal education or experience an attorney may have. 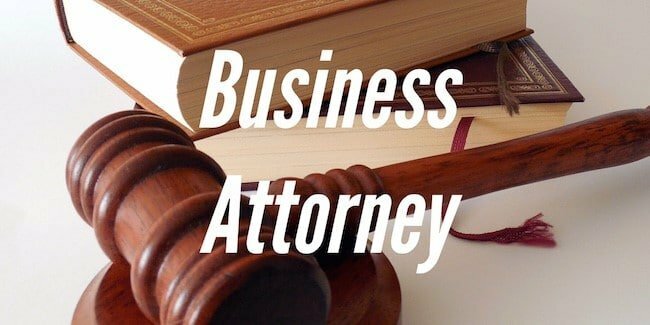 An attorney, or preferably, a business attorney who has already “been there and done that” in the business world is more likely to be able to better represent and understand the legal needs of your business, than a lawyer who specializes in personal injury law or family law for example. It is a generally accepted fact that attorneys are expensive. In choosing an attorney to work with, the fee that they charge is obviously or likely to be a deciding factor in if you work with them or not. This is perhaps especially so for small businesses who are not yet as financially sound as their bigger counterparts. Attorney fees should maybe be one of the first things you discuss with an attorney during the vetting process. Most attorneys ask for what’s known as a “retainer” before being formally hired by a client. A retainer fee is subject to terms and conditions pertaining to what the retainer and legal service cover. Knowing what those terms and conditions are is a good way to assess a lawyers best fit for you and your business. For example, is the fee refundable if it is not used up completely? This is a great question to get an answer to before deciding on a lawyer. If you are a small business, utilizing a retainer or fixed price for services may be your solution to finding and hiring an attorney you can actually afford. Experienced lawyers, more so those experienced in the business world will often know what needs to be done in your specific situation and how much time, and consequently, cost, that it should take to resolve.. However, if your legal matter is a complex one, hourly pricing may be the only only option available to you. Getting to know the attorney or attorneys you are considering for hire is a smart move and spending a limited amount of time doing so is even smarter. It is true that lawyers will charge their normal hourly rate for speaking with them but still others offer free initial consultations depending on the legal matter in question. Before you decide on hiring an attorney, especially if it is going to be a long term working relationship, you should get to know as much about them as possible. Try and independently verify whatever they tell you about themselves and in the same vein, try and verify whatever you ready about them on their website. Where possible, speak to past clients to get first hand and unbiased information about them and the service they provided. However, in seeking out the opinion of past clients, keep in mind that everyone’s business needs are specific and that effective communication plays a key role in the success of any endeavor. Just because one person’s experience wasn’t favorable doesn’t mean that yours won’t be. Get the facts first and compare them with that of other people to get an overall picture before making a decision. If you find yourself speaking to a law firm that hires several lawyers and paralegals, besides the one whose name is on the door, you may want to find out who specifically will be working on your case now and in the future. This is because less complex matters may be handed down to a junior or less experienced member of staff, who may end up not being very knowledgeable in the specific matter you have. Even though you might have initially spoken to a more experienced attorney, giving you the impression that this more experienced attorney would handle your case. You will then want to verify the credentials of this attorney or paralegal that will be assigned to your case, and likewise do the necessary due diligence on them. How Much Litigation Experience Do They Have? In any civilized society, the courts are the final arbiter of any dispute, and whenever your business has any dispute with any internal or external stakeholder which cannot be handled amicably, then the case is likely to be heard in court. To this end, it is also a good idea to make sure that the attorney or law firm you are speaking to has experience as a business litigation lawyer. Attorneys who are not very comfortable arguing a case in court will likely avoid trail at all cost and will want to settle outside of the court, even if it is to the detriment of your business. Finding an attorney who can take your matter to trial if ever a dispute arises is an asset that can be very valuable to your business’s needs. The next thing you will want to consider is location. If you live in New York for instance, finding a New York business lawyer to establish a relationship with can be a great way to avoid costly travel or lengthy drives when going to meet them. This is especially true if it is going to be a long term case that is going to require frequent strategy meetings. Your time is very valuable. Spend it wisely and hire local. Additionally, in hiring locally, you are likely to be able to find people who know the lawyer personally, which will make your job of doing your due diligence on the lawyer easier.